By bpNichol and John Riddell. John Riddell's Pope Leo: El Elope. grOnk 2.6. With drawings by bpNichol. 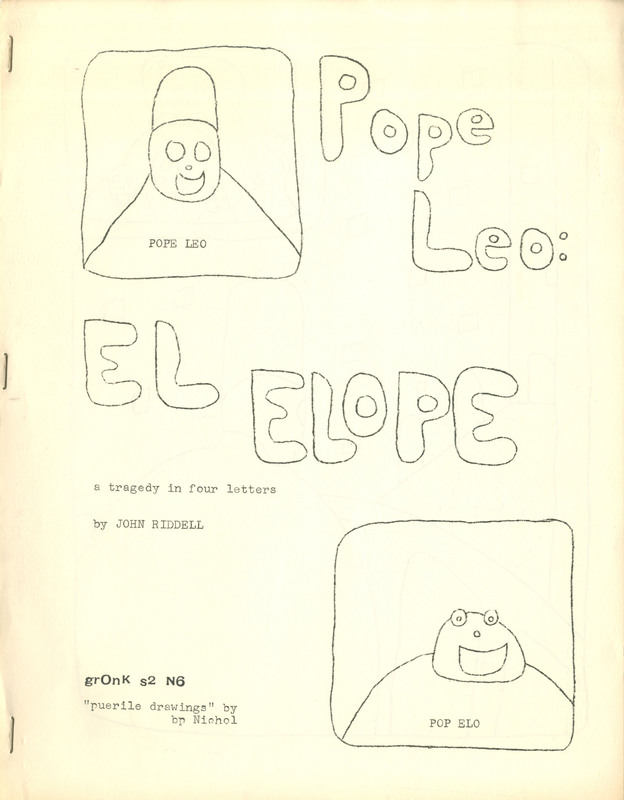 "POPE LEO: EL ELOPE published late april 1969 in an edition of 200 copies by Ganglia Press"